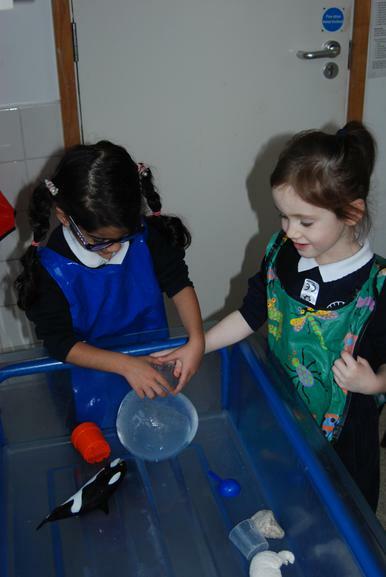 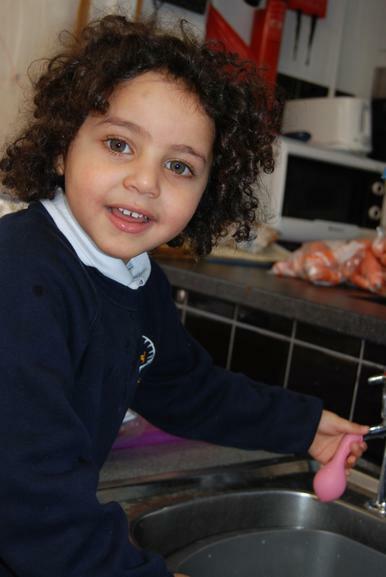 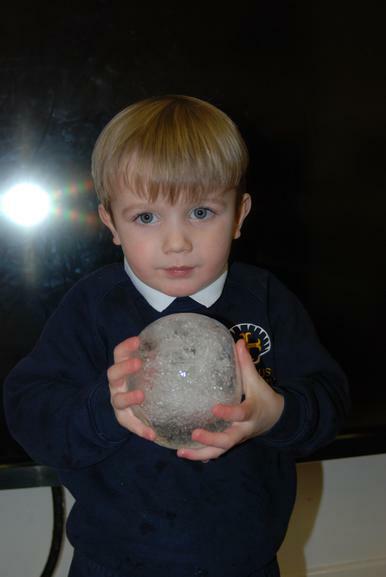 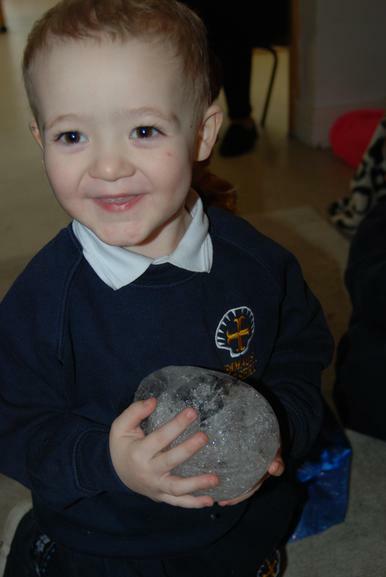 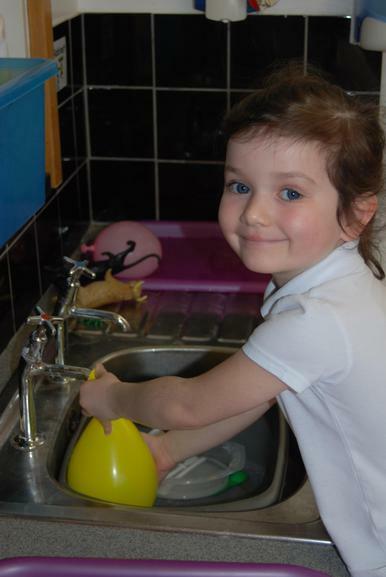 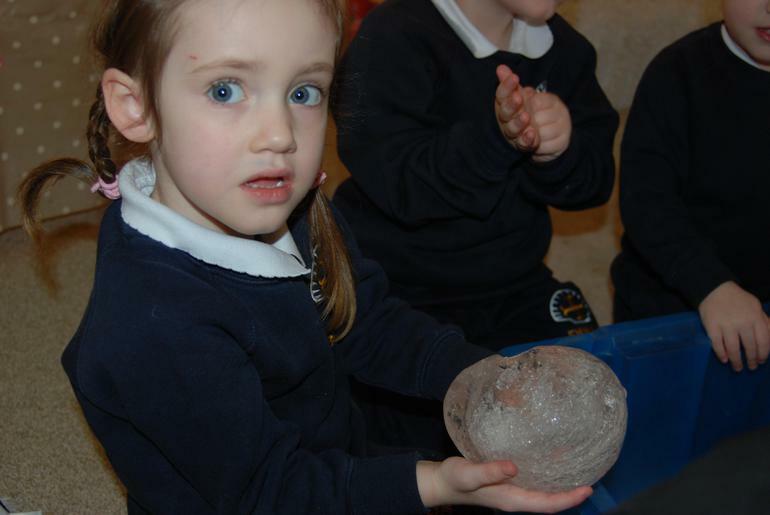 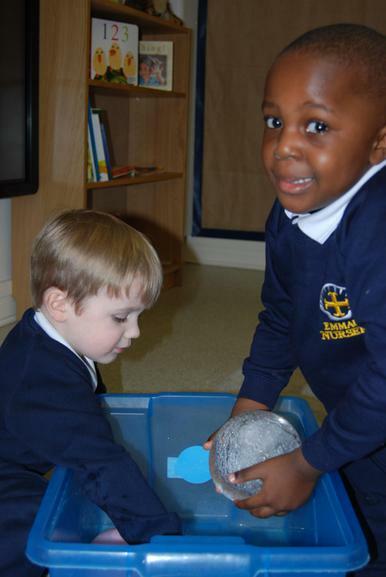 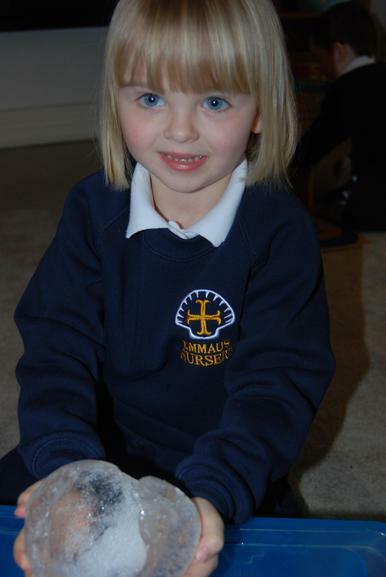 We have been thinking about cold weather, ice and snow at Nursery. 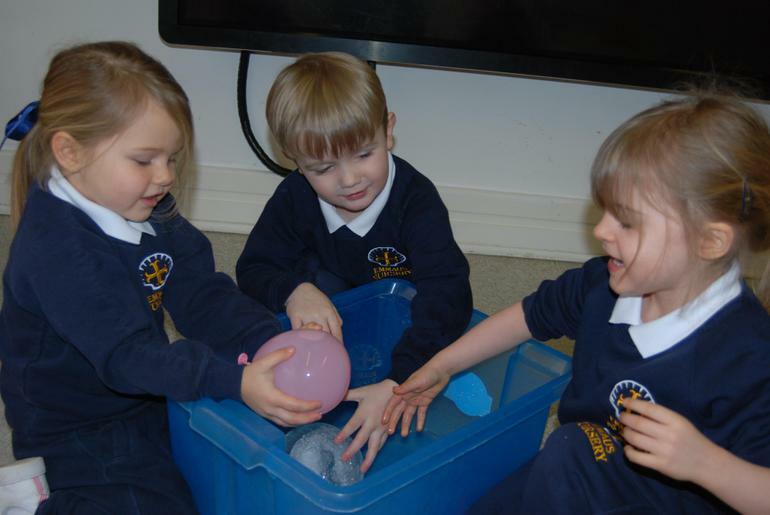 We filled balloons with water then talked about where we could put the balloons to change the water to ice. 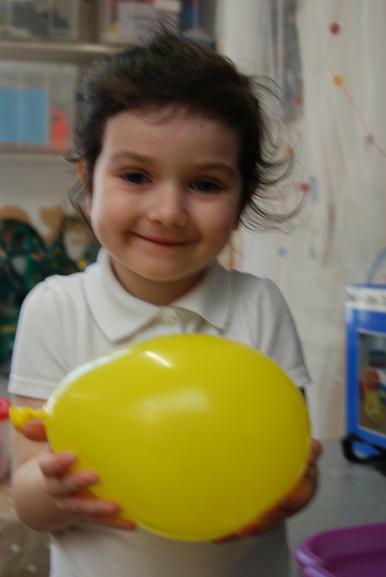 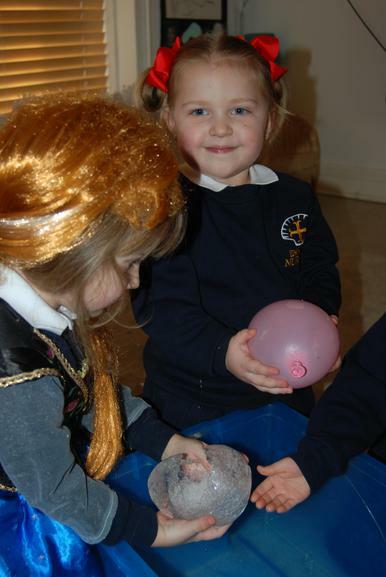 Some of the children suggested putting the balloons in the freezer and outdoors. 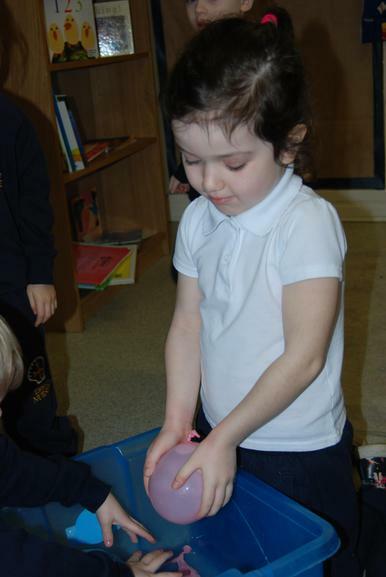 We investigated how the water balloons had changed the next day. 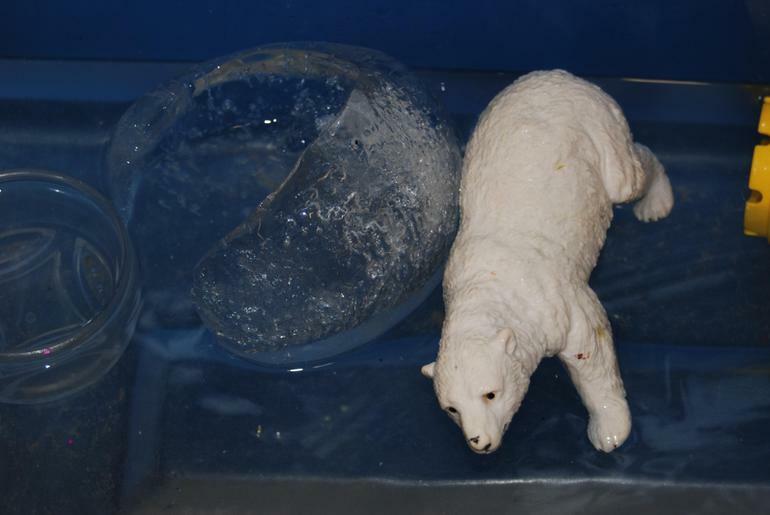 We found that our water balloons in the tray outside did not freeze as it had not been cold enough but the balloons in the freezer had turned to ice. 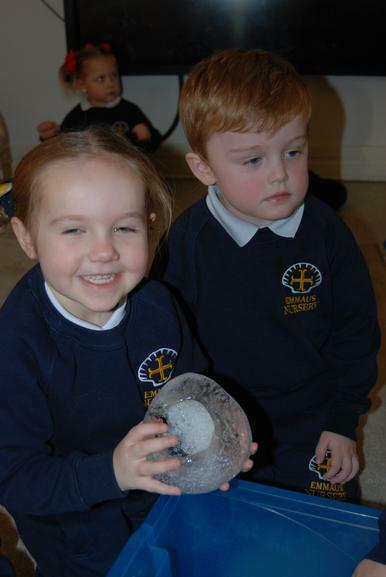 We talked about how they felt and looked at the shapes of the ice. 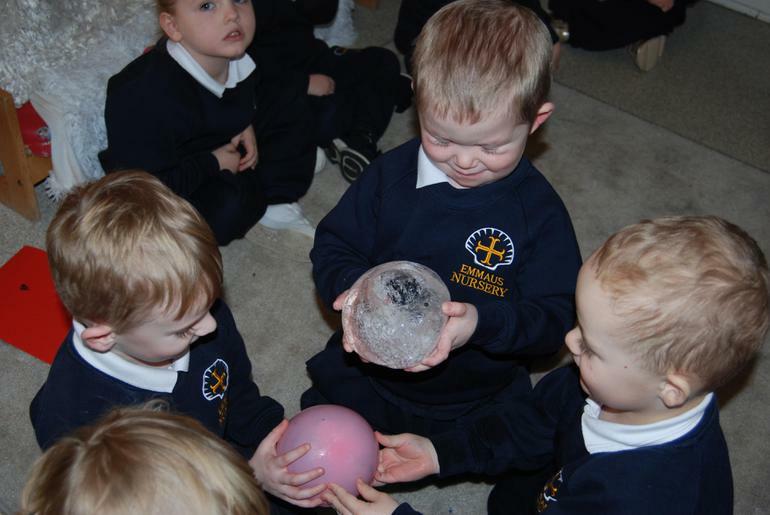 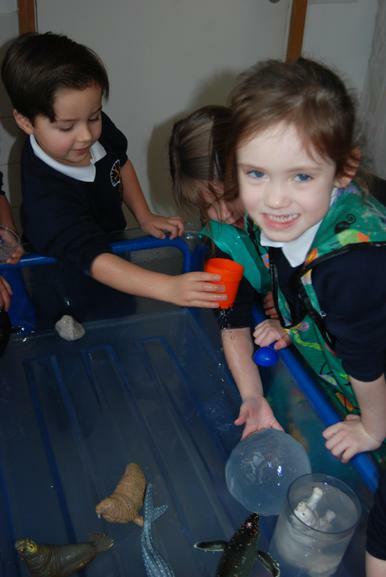 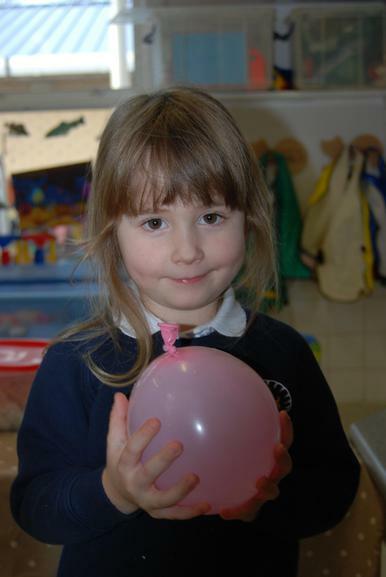 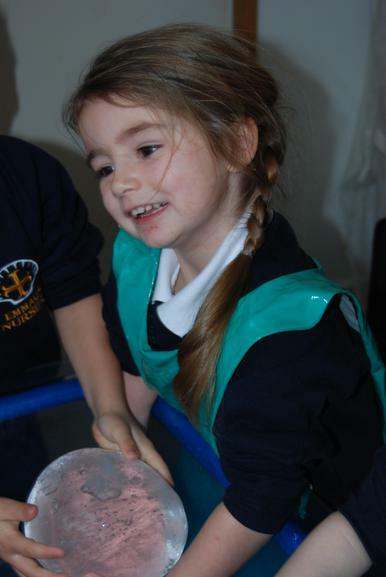 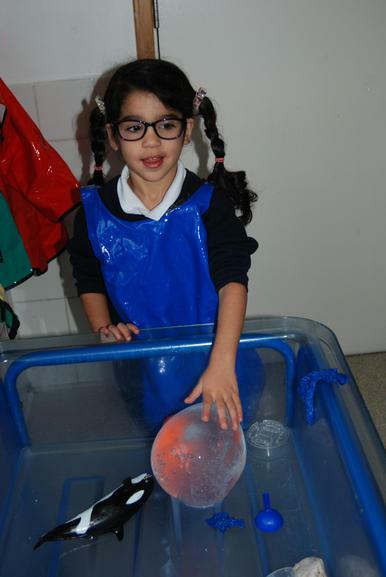 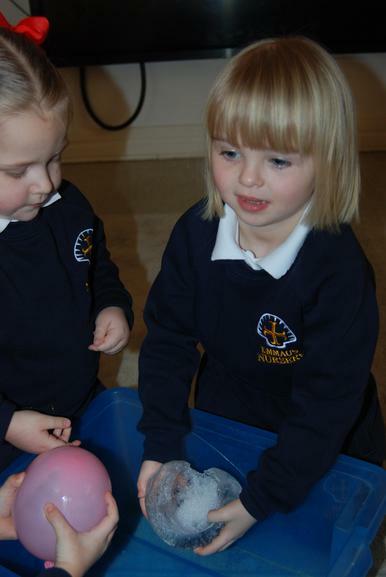 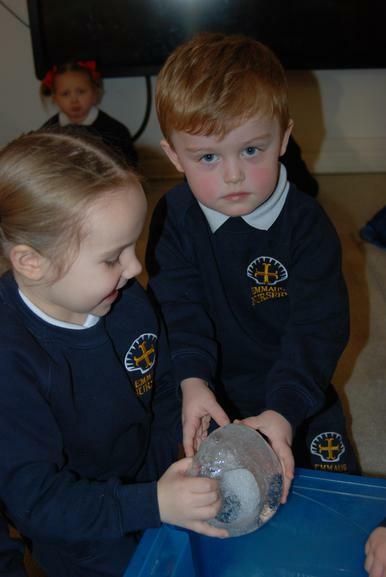 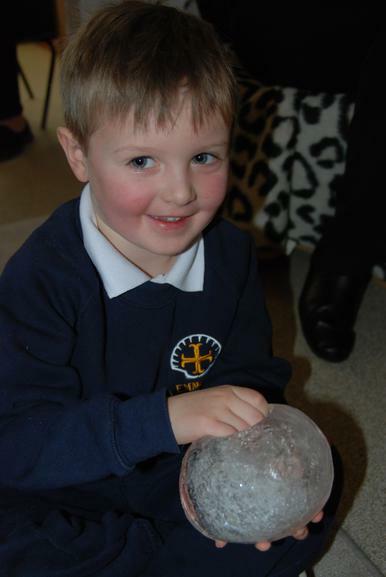 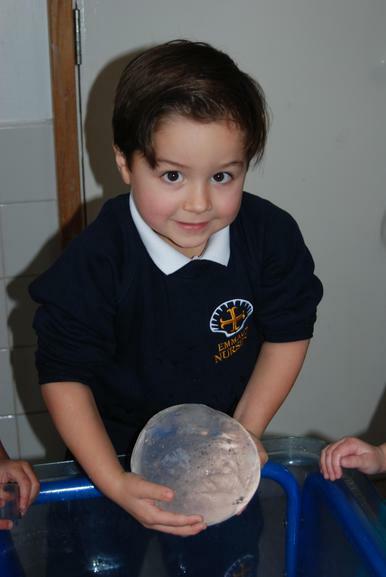 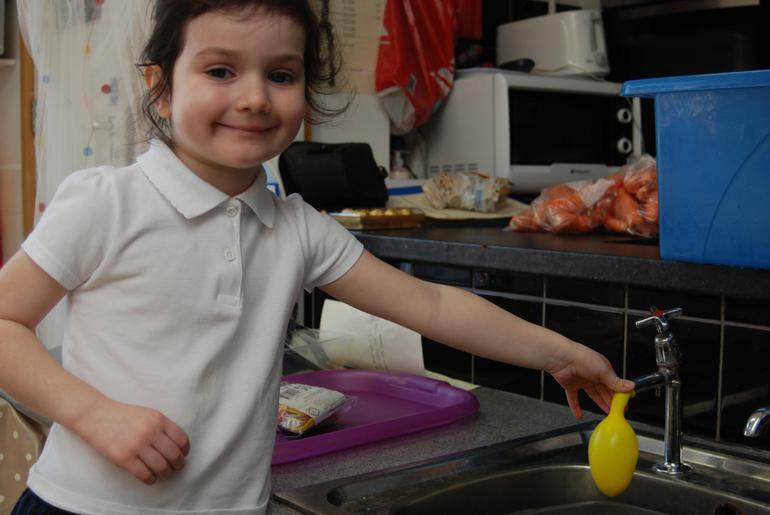 We noticed that the ice balloons started to drip and melt in Nursery because it was warm. 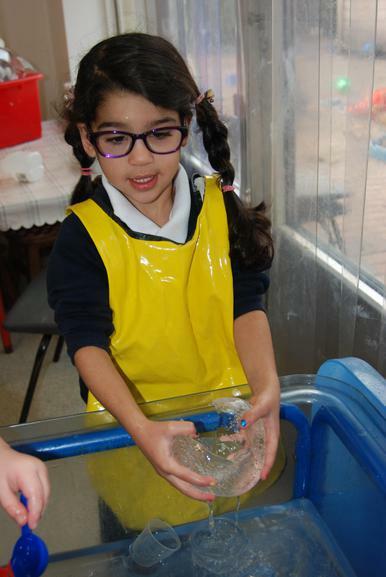 We made a floor book about freezing and melting.